NEW YORK — Next year's Met Gala will be downright campy. No, seriously: The Metropolitan Museum announced Tuesday that "Camp: Notes on Fashion" will be the title of its next blockbuster spring Costume Institute exhibit. The exhibit is launched each year by the star-studded Met Gala, where attendees are encouraged to dress according to the prescribed theme. The museum said in a statement that the exhibit will get its framework from a 1964 essay by Susan Sontag, "Notes on 'Camp.'" The show "will examine how fashion designers have used their métier as a vehicle to engage with camp in a myriad of compelling, humorous, and sometimes incongruous ways," it said. 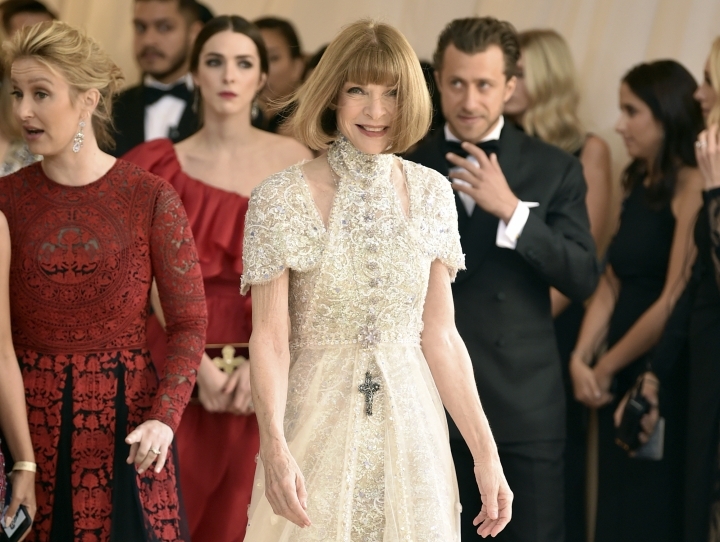 The Met Gala, formally known as the Costume Institute Benefit, is always chaired by a team of high-wattage celebrities, and next year will be no exception. The May 6 affair, to be underwritten by Gucci, will be chaired by pop star and actress-of-the-moment Lady Gaga, tennis star Serena Williams, and singer Harry Styles, along with Gucci designer Alessandro Michele and, as always, Vogue editor Anna Wintour. The new theme seems decidedly more lighthearted than last year's hugely successful "Heavenly Bodies: Fashion and the Catholic Imagination," about the relationship between fashion and Catholicism. That sumptuous, sprawling show drew more visitors than any Costume Institute exhibit — more than 1.3 million to the Met's main Fifth Avenue location, and nearly 200,000 to its Cloisters branch — and indeed was one of the most attended shows in the museum's history. "Fashion is the most overt and enduring conduit of the camp aesthetic," said Andrew Bolton, curator in charge of the Costume Institute and creator of its blockbuster shows. Bolton said the 2019 show would "advance creative and critical dialogue about the ongoing and ever-evolving impact of camp on fashion." The exhibit will feature approximately 175 objects, not only clothing but also sculptures, paintings, and drawings. Designers to be featured in the show include: Cristóbal Balenciaga, Thom Browne, Gucci, Marc Jacobs, Charles James, Christian Lacroix, Karl Lagerfeld, Prada, Versace and many more. "Camp: Notes on Fashion" will run from May 9 through Sept. 8.